As a player Gary played for England schoolboys before playing professionally for Sheffield United, Darlington and York City. He also played non-league for Stalybridge Celtic, Gateshead, Spennymoor, Durham City, Bedlington, Sunderland Nissan and Crook Town. His first management role was player/assistant manager at Sunderland Nissan, he then became player/coach at Crook Town and got the manager’s job at Crook Town in December 2011. Gary won the Northern League Second Division with Crook Town in 2012/13 and consolidated the side in Division One. 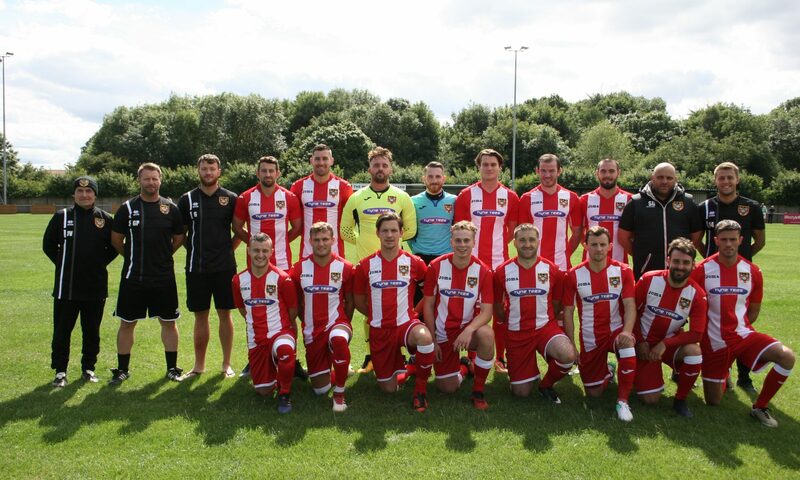 At the beginning of the 2013/14 season Gary took over at Ryhope CW, in their second season they finished runners up in Division Two and gained promotion to Division One. Former Jarrow Roofing, Blyth Spartans, Shildon and Seaham Red Star player. Has also been Assistant Manager and Manager of Seaham Red Star. Chris has joined the management team initially as a coach and has now stepped up as Assistant Manager to work alongside Gary. Chris is also registered as a player and is available for selection in the playing squad for the 2018/19 season. Ollie joined the club in 2018 as a player/coach. Ollie is one of the most promising young coaches in North East Football and has gained high praise after spells managing Durham and Washington. The experienced physio joined Ryhope CW at the beginning of the 2017/18 season having previously worked with rugby teams and spending many seasons at Crook Town.